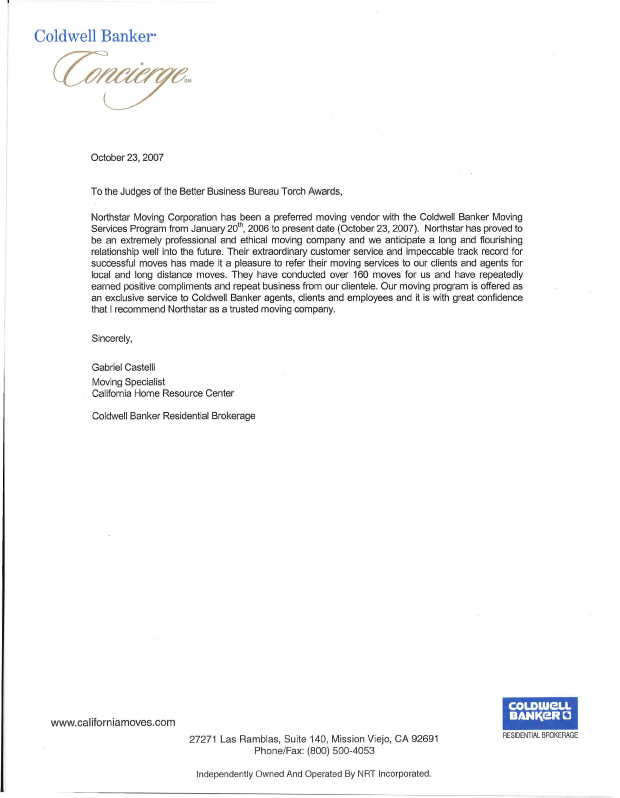 To the Judges of the Better Business Bureau Torch Awards, Northstar Moving Corporation has been a preferred moving vendor with the Coldwell Banker Moving Services Program from January 20th , 2006 to present date (October 23,2007). Northstar has proved to be an extremely professional and ethical moving company and we anticipate a long and flourishing relationship well into the future. Their extraordinary customer service and impeccable track record for successful moves has made it a pleasure to refer their moving services to our clients and agents for local and long distance moves. They have conducted over 160 moves for us and have repeatedly earned positive compliments and repeat business from our clientele. 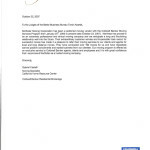 Our moving program is offered as an exclusive service to Coldwell Banker agents, clients and employees and it is with great confidence that I recommend Northstar as a trusted moving company.